When I started raising chickens, the supportive chicken community that we have today was just beginning to crop up online. The Internet was crawling with novices just like me whose aspirations in sustainability led them to a seemingly sudden chicken obsession. We had more questions than answers. Wannabe chicken keepers looked to legit country farmers for advice, but the advice didn’t always have the right urban fit. Culling, for example, isn’t something we do in the city. Not only is it (often) illegal, but also, we don’t usually kill animals we name and snuggle. Rural farmers can sure give us flack for the impracticality of feeding livestock one won’t eat. Our priorities are sometimes just different, but they’re not wrong. 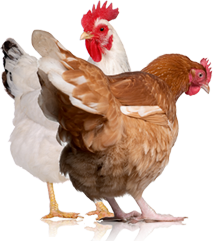 Folks used to keep chickens on city lots before grocery stores and factory food became main sources of supply, so for awhile, chicken keeping went by the wayside. It’s been just enough time—about two or three generations—that chicken keeping for the sake of raising one’s own food became an outlandish and rebellious act of sustainability. I grew up in the city. Today, my brother and I both keep chickens: his rural and mine urban. (Our parents are shocked.) What tickles me about this offbeat chicken hobby my brother and I share is that our personal interests and politics differ greatly, but this is the one thing we can talk shop about, and we totally get each other. That’s pretty special to me. We live in a time and place where sustainability gets to be a hobby, and people think we’re kind of goofy for wanting to do a little bit for ourselves. It was once so commonplace to have chickens. I wonder if there was a time when no one ever questioned it. Why isn’t it normal to raise animals for food? I’ll always remember the moment I realized I wanted chickens. I was in my kitchen trying to think of what else I could do to control what my growing family was eating. In a split second, a proverbial flash, this city girl who never liked an animal with wings needed chickens in her life. I researched what information was available online at the time, I browsed forums and studied coops, I befriended young farmers, and dismissed people who called me crazy, all for two years before I could convince my husband chickens were a fantastic idea. What I’m trying to say is that I’m thankful for the community we’ve all built together. Just a few years ago, I didn’t know anyone else who raised chickens. Today, I have chicken friends all over the country. 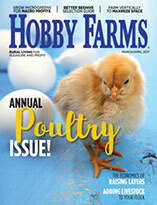 As a writer, I get to write about my feathered friends, and I get to interview people who love their chickens just as much as I do. It’s easy to accuse me of being sentimental about my chickens. My great-grandmothers, sustainable women in their own rights, are the namesakes of my first flock. But I’m just as sentimental about the people who come to read this blog. Thank you! 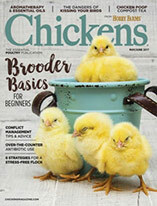 So, readers, tell me what topics you’d like me to address in the Chicken Quarters. Please comment below and tell me what you’d like to read in my future posts.